DR. (Mrs)Christiana Teniola GBADEBO is a Nigerian female Home Economist. She was born at Egbe, Kogi State on 31st, July 1963. She attended ECWA LSB primary School, Egbe Kogi State for her primary education; Egbe Teachers’ College Egbe. Kogi State for her secondary education. She later proceeded to Federal college of education Zaria for her Nigerian Certificate in Education(NCE). Similarly she attended Ahmadu Bello University, Zaria for her Bachelor (B.ed) and Master’s degree program (M.ed) in Department of Vocational and Technical Education, Faculty of Education, Zaria, Kaduna State. She later proceeded to University of Benin, Benin City, Edo State for her PhD degree in Department of Vocational and Technical Education, Faculty of Education, Benin City, Edo State.. She is a specialist in Home Economics (Family and Child Development). Before joining the service of University of Ilorin on 25th November, 2008, she worked for Four years in George Campion Nursery/Primary School as a class teacher before joining the services of Kogi State Teaching Service Commision in 1991 where she worked for 17 years as an Home Economics Teacher in Government Secondary School Egbe, Kogi State and rose to the position of Chief Education Officer. She later joined the services of University of Ilorin in 2008 as a Graduate Assistant in the Department of Home Economics and Food Science, Faculty of Agriculture. She has since been promoted to the position of Lecturer I in 2016. She has attended several local and National conferences, workshops, seminar and training. Dr (Mrs) C.T Gbadebo is happily married with children. Dr.(Mrs) Gbadebo has good leadership qualities to manage and co-ordinate research projects. Her main field of research is Family and Child Development for the achievement of stable happy and sustainable family life. Through her research work, notable professional achievements that area of reference in Home Economics have been developed, an example is Production of Enriched Liquid Black Soap using different oil and ash. Dr.(Mrs) Gbadebo has occupied many administrative positions at the Departmental and Faculty levels at University of Ilorin. She has the capacity and interpersonal skills to successfully handle multiple assignments. She served as the Coordinator of Community Based Experience and Services (COBES) for Ogbondoroko 2015/2016 and 2016/2017 Group. She is also a Faculty Board Representative, Senate and other committees/Board/Bodies, Faculty of Education 2016-2018. 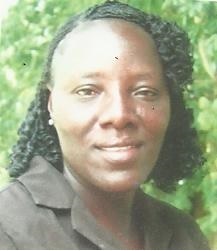 She was a Member of Feeding - Subcommittee of Local Organising Committee (LOC), West Africa University Games (WAUG). University of Ilorin in 2011, and a Students Academic Adviser presently. She is currently a religious group leader in her religious organization. family life and community development. 2. Member, Home Economics Teachers, Association of Nigeria (HETAN). 3. Member, Home Economics Research Association of Nigeria (HERAN). 4. Member, National Association of Women in Academic (NAWACS). 6. Member, Family and Consumer Sciences Society of Nigeria (FACSSON). 7. Member, International Research and Development Institute (IRDI).